The Ultimate Wedding Planner - Organize The Wedding Of Your Dreams! Hardcover, 80 Pages. Checklists, Party Planner, Budget Organizer, Bridal Shower, Rehearsal Dinner, Suppliers, Honeymoon & Much More! 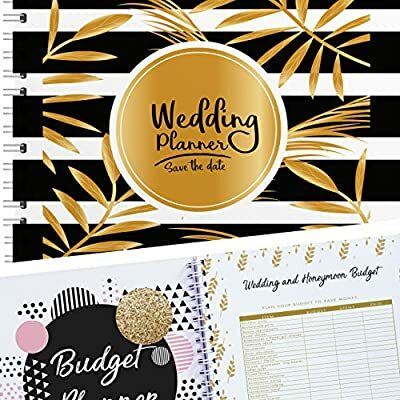 Budgets, Checklists, Vendors, Wedding Stationary, Supplier Planner, Bachelor & Bachelorette Parties, Rehearsal Dinner, Guest Lists, Seating Arrangements, Registry and even Honeymoon Planning. Every aspect of the perfect wedding is covered! 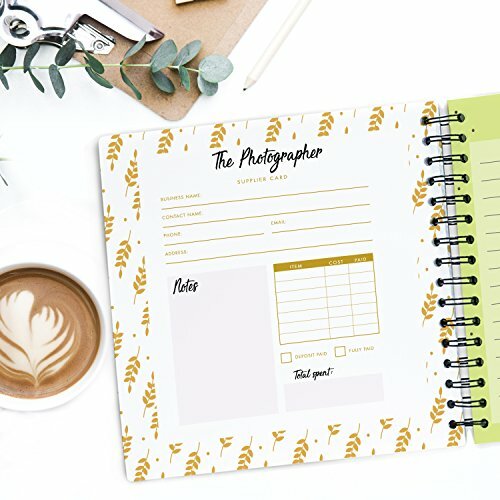 This wedding planner is a practical and stress-free way to organize the journey to the wedding with in-depth and undated sections with plenty of space for brainstorming, gathering inspiration and keeping track of all the important information. This book has 80 beautifully illustrated pages and measures 9X9 inches. 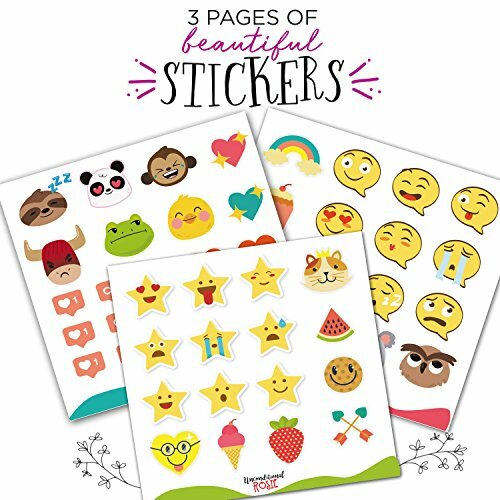 It comes hardcover and printed on thick high-quality paper which makes it portable and sturdy at the same time. Perfect for on-the-go planning! This is the perfect gift for newly engaged couples looking to feel confident and equipped with each and every important step from "9 months before the big day" to even planning their honeymoon! 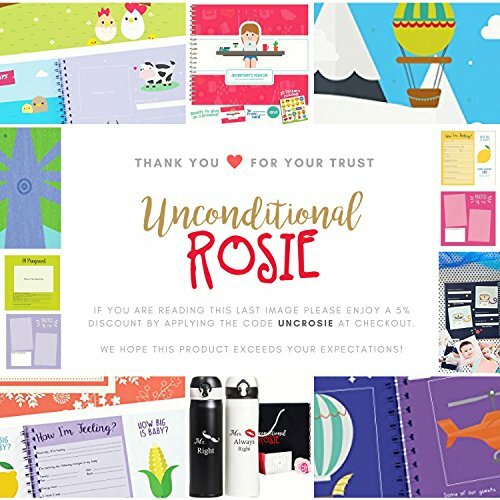 Love it or your money back! 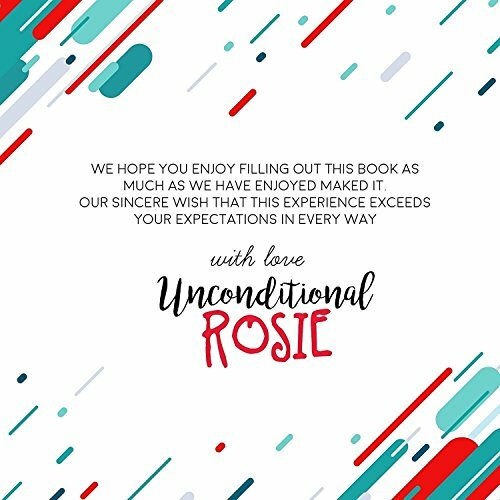 We are so confident that you will love your Unconditional Rosie Wedding Planner that we offer a lifetime guarantee. If at any point you decide you are not completely satisfied we will refund 100% of your purchase. No questions asked. 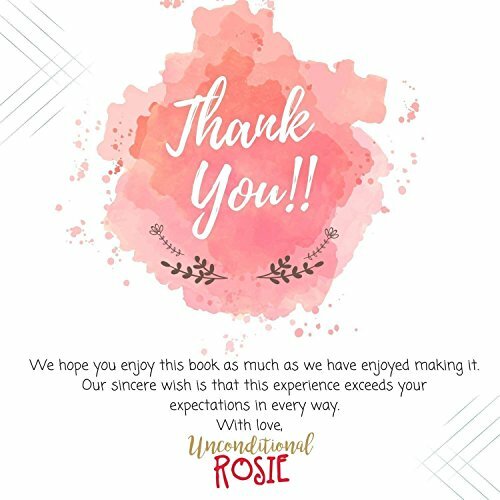 We hope you have an AMAZING wedding. Hugs!